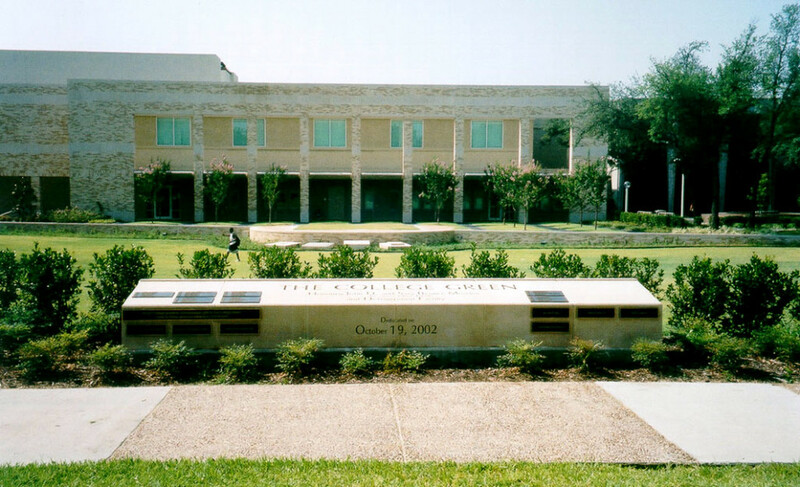 Near the center of the Austin College campus is a new campus amenity, the College Green. The 1.6-acre open space, located just northwest of the new Student Center, is designed as an amphitheater, shade garden, and central gathering spot for students. 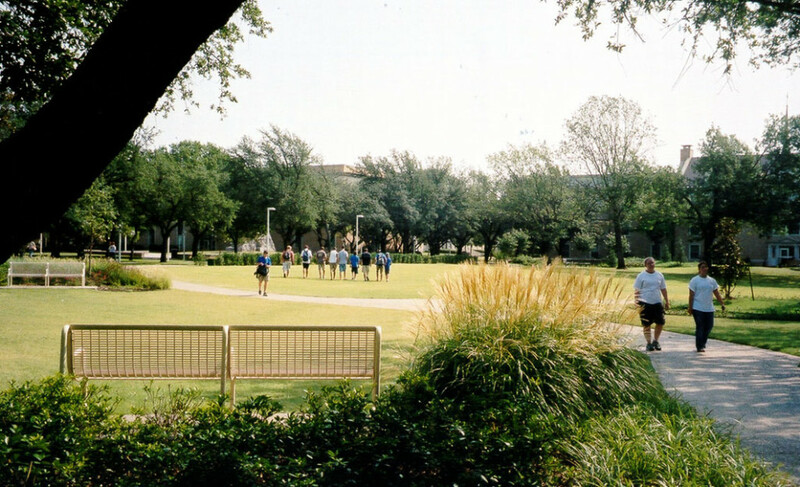 The large open space was created by demolishing the northern portion of the old student center and renovating the remaining southern end to form the new Technology Center. A new northern arcade along the Technology Center forms a stage backdrop and opens onto a triangular grassy terrace and crape myrtle sitting grove. Western views down this arcade to the preserved Ida Green Communication Center Fountain were maintained. The design also focuses views to the existing Jonsson Fountain at the western end of the Pedestrian Mall. The soft amphitheater accommodates over 1,500 people on the lawn, and temporary lights can be easily installed for evening performances and special student events. 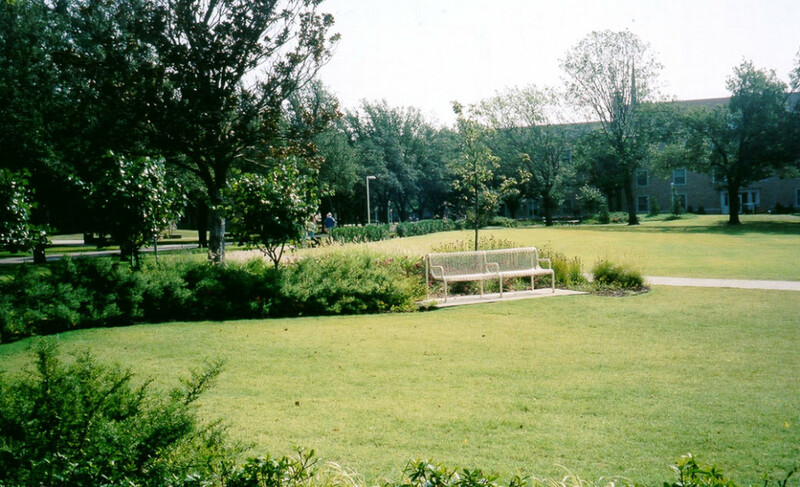 The sloping central lawn is flanked by a shade garden on the west, with bench sitting and colorful perennials. On the east side of the lawn, a small sitting alcove is located under an existing red oak grove, offering pleasant views of the stage. 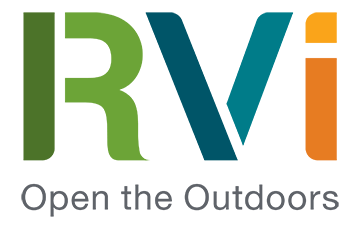 The College Green offers an exciting focus to the campus and will provide an alternative meeting and performance setting for Austin College into the next decade.